Need rid of that unsightly pile of junk in the corner, basement or backyard? If the time has come for a seasonal clean out, let the friendly professionals at JUSTJUNK help with any of your junk removal needs in Easy Gwillimbury as soon as today! 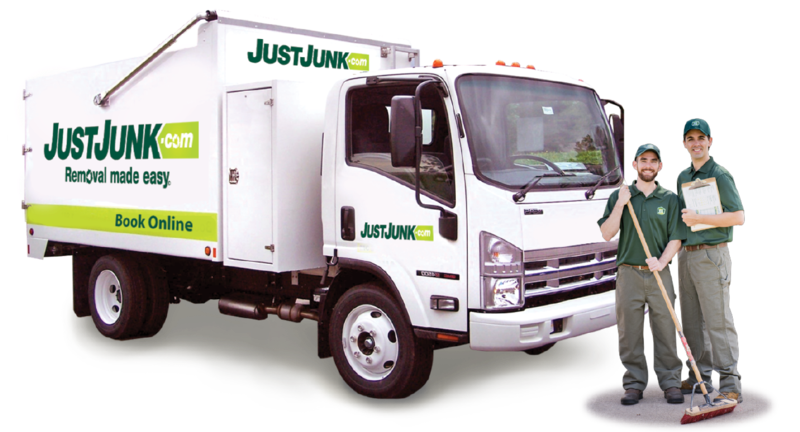 With the full service team from JUSTJUNK East Gwillimbury, junk removal couldn’t be easier! Full service, all inclusive rates means the fastest and most efficient junk removal, junk pickup and disposal service available! It’s as easy to get rid of junk in your home as it is to point at it. 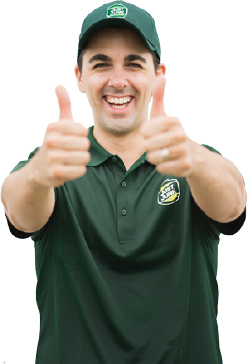 Schedule your pickup and free estimate, and once we’re there all you need to do to begin your junk pickup is to point at where your rubbish, waste, trash, garbage or whatever you need removed is currently sitting and we’re happy to begin removing it right away! Our all-inclusive rates include everything: labour and disposal charges too! These are not extra fees, they’re part of our great service that we provide to all of our junk removal customers in East Gwillimbury. Happy with the price we quote? Great! We can begin immediately to haul junk out of your home. Watch as we quickly and easily do all the lifting, loading, even sweep up afterwards to offer that complete junk removal service. You don’t have to do anything! 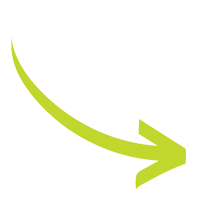 We do it all so you don’t have to, ensuring that we offer you Removal Made Easy! Recycling and Donation Services Available! Okay, so sometimes that ‘junk’ isn’t really junk so much as an old dresser that has planted itself in your home with nowhere else to go. No one wants it! Some charities may take it, but they aren’t able to pick them up for you and you have no way to drop them off. Junk removal services from JUSTJUNK Gwillimbury can help. Our junk hauling and disposal includes recycling and donation options in order to ensure that your items–whether furniture, appliances, clothing, books and more–don’t go straight to the dump and can be used elsewhere. All this at no extra cost to the service! With this great service we’ve ensured that as much as 60% of all items removed by JUSTJUNK are properly recycled and/or donated. Avoid the dump with JUSTJUNK! Scheduling junk removal services in East Gwillimbury couldn’t be easier. With our simple on-line booking system, book online or call our team of removal specialists today at 705-792-9544 to schedule a free estimate and book your removal appointment today! Same and next day service means that we can begin your removal as soon as today! Extremely satisfied with the service received. Lance & Scott were very courteous and professional. I would certainly recommend Just Junk to anyone who wishes to use their service. Thank You. Prompt, friendly, efficient. Will use this team again. Super fast, friendly and cheaper than I had anticipated. It was worth every penny! They were able to come for a pickup the day after I called them! They were on time and gave me a head's up that they where on their way! They two guy where quick and friendly! I will recommend this company to everyone! Thank you! Emerson & Scott arrived on time, prepared an estimate that was very reasonable (massive junk in garage & basement, with huge electronics for recycling and garbage). I thought we'd be looking at multiple loads, but it was a fraction over one full truck. They worked hard and quickly, and their cheerful nature while focusing on what we needed, and the commitment to recycling as much as possible were welcome to hear. We will be sure to call for them to handle the leftovers, and will even add stuff to the load that we had intended to deal with ourselves. As the panic clock ticks down to our impending move, it has been a huge relief that they were so efficient and comprehensive in what they could handle for us. Five star performance (out of five)! The guys were friendly, professional and did an excellent job. Thank you. It's hard to part with possessions, but these guys made it easier. Very polite and courteous. The guys who came to pick up were efficient and polite. As promised they phoned ahead and then showed up in good time. The workers were polite and friendly. They did the work quickly and were very helpful. I would highly refer this service. Excellent customer service from the driver. Online pickup service is very easy to use and website is easy to navigate. The two guys took everything...great job. I just couldn't convince them to take the wife's yappy dog.....oh well. Thanks again. The guys were great. I would reccomend Just Junk to anyone. They were here when they said the time they will arrive. If I need to remove anything else from my home I will be calling u guys. Great prices but maybe stating in ur advertisement what ur load may include in that pricing as I wasn't expecting the quote given. But that's ok. Again thx guys. Emerson and Scott were great. Hard-working, respectful and conscientious. Thanks! Guys were awesome :-) Got right to work with no problems!! Filled the truck in less then a half hour :-) Will certainly use them again!! Awesome Service as per usual!!! not the first time I have used you guys!!! Perfection is all I can say!! - the two gentlemen that came to my house today and the last time ( same Guys) are an absolute pleasure professional, courteous, diligent and efficient the kind of associates anyone would love to have on there team! Thank you very much for making this part of my move seamless!! Excellent service! Very punctual and professional! Fast, clear about orice, good interpersonal skills. Extremely easy to book on line with very prompt pick up dates available. Young Gentlemen on the truck, Emmerson and Scott were both friendly, kind and very business oriented. Pick up was carried out on the early side of the two hour window and a friendly phone call did come just before delivery which was right on time. No hesitations to use Just Junk again, thank you for the great service. The gentlemen were amazing; so good natured, so respectful. I was very impressed with these guys & would absolutely use them again. They had to haul an old Sony TV & heavy sofa out of the basement & did so with smiles on their faces. Their attitude was upbeat yet professional and they did the job very quickly. I highly recommend Just Junk. Very pleased with the professionalism & care taken to remove my unwanted article of furniture. Thank You! Easy to book, fast service, friendly and helpful staff, pick up is quick an pricing is fair. Would use again.